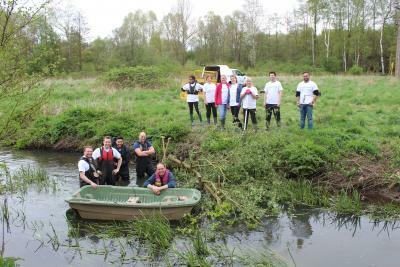 Every year, Novartis is proud to host its Community Partnership Day – and this time around, it fell on Tuesday 24th April. 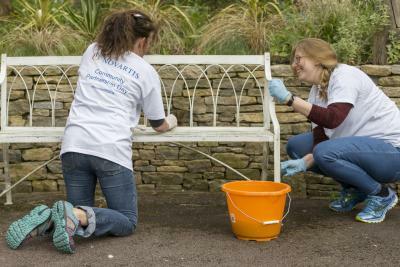 Over 350 Novartis UK employees from across our four sites volunteered to support social institutions and non-profit organisations this year, representing around 2,500 hours of time contributed to community service. Our Community Partnership Day is a very special day in the Novartis calendar. We believe that our employees have a responsibility to build good community relationships and give back to society. It’s one of the ways that we build trust in society in order to solve important problems. Taking the time to give something back and make a difference to the community for so many good causes is the perfect example of Novartis employees living our core values and behaviours.As well as participating in external activities, there were opportunities for our employees to engage in the Community Partnership Day even if they couldn’t escape the office for the day. Items could be donated at stations that were set up across our Novartis UK sites, including food for Farnborough Food Bank and clothes, books and ornaments for Phyllis Tuckwell Hospice. Community Partnership Day is a global Novartis initiative that rolls out across six continents and 52 countries. Follow the excitement from the day with #NovartisCPD2018 on Twitter @NovartisUK.